Hi! 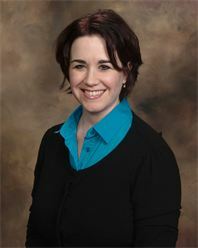 I'm Dr. Melissa Sharp and I'm a clinical psychologist. I earned my doctorate degree in psychology from The Illinois School of Professional Psychology in 2001. I specialize in helping clients who have been stuck and unable to change unhelpful feelings, thoughts, and behaviors by using an innovative therapy called Rapid Resolution Therapy (RRT) TM. RRT is a cognitive-experiential approach to creating desirable changes in a shorter time-frame than most traditional forms of therapy. In this approach, the subconscious mind is engaged to quickly and painlessly create positive and enduring changes. I have effectively treated a variety of issues such as trauma-related stess (PTSD), grief, panic attacks, anxiety, self-destructive behaviors, guilt, resentment, and low self-esteem using RRT. Rapid Resolution Therapy is designed as a short term therapy. If you are interested in reading more about Rapid Resolution Therapy please see my website page on Rapid Resolution Therapy or visit www.rapidresolutiontherapy.com. I am available for appointments Tuesday - Saturday as my schedule permits. RRT has been a great tool for my family. The way it generalizes to other areas is quite amazing and has been so helpful to us all. Having used more traditional approaches in the past and then RRT, I see a huge difference in both the effectiveness and length of time spent in therapy. Thank you Melissa! --L. R.
I just spent a couple of years trying to build myself up to quitting smoking - but one life stress after another kept me from doing it...."Oh this is a tough week coming up," or "this is terrible PMS, I can't do it right now." "Family coming to visit, once they leave" etc. Well last year I started noticing changes and realized menopause was beginning to make its appearance. From stories I've heard about other women's experiences, I thought, "this is going to be several years of ups and downs - I'll never find a good time to quit." So I talked to Melissa and not only did she help me to quit smoking (with minimal side effects), she also treated me for anger and dark moods that had really been getting me down. This was over 5 months ago. I've waited until now to see how I was doing. I still have a nauseating feeling when I visualize my cigarettes and haven't returned to that overwhelming rage and depression that I had experienced before. This was after only 3 sessions with Melissa. I truly felt safe and secure with Melissa - there was no judgement - and she followed up with me, making sure that I knew genuine help was there when I needed it. I'm so grateful for the help and support I needed and received. --K.E. Hello! I'm a licensed clinical psychologist who has been active in the field since the 1990's. I earned my Masters and Doctorate degrees at Roosevelt University in Chicago. I specialize in treating adolescents and adults with anxiety, depression, stress, anger, heartache, and trauma. In addition to having training in several types of mainstream talk therapies, I have extensive training in Rapid Resolution Therapy (RRT). In this approach, I am able to help clients quickly find relief from unhelpful thoughts, feelings, and behaviors as well as clear the after effects of past traumas. I have found this approach to be more effective than other traditional talk therapies as it is based in neuroscience and involves engaging the whole brain (including the subconscious mind) in the therapy process. As a result, my clients experience significant improvements in their emotional wellbeing, often in a shorter time frame than other therapies. I also am able to do psychological testing when a diagnosis is unclear and requires clarification. I am available for appointments Monday through Thursday and Saturday's. ~ "When I went to see Jill, I couldn't sleep at night and was very depressed because of old memories. After a session of Rapid Resolution Therapy, I am a pretty happy person." -P.C. Hi! I am a Licensed Clinical Professional Counselor. I earned my masters degree in Clinical Psychology from Benedictine University. I am a member of the Illinois Mental Health Counselors Association, and the Illinois Counseling Association. My clinical experience includes extensive experience working with senior citizens at Linden Oaks Hospital where I earned the title, "the senior whisperer." I also served as an adjunct faculty member for a community college, and have created and facilitated numerous holistic groups for women. I have a deep passion for helping people create a balanced life where they can discover and express their own unique interests and values. My style is gentle, yet constructive. I specialize in self-esteem issues, stress management through creating lifestyle balance, and personal empowerment. I see clients on Monday evenings. Hello! I am a Licensed Clinical Professional Counselor as well as a registered nurse. I received my masters degree in clinical psychology from The Chicago School of Professional Psychology. During the day, I work as a nurse specializing in addictions, and two evenings a week as a therapist in private practice. I specialize in treating addictions and substance abuse/dependence both as a nurse and as a counselor. I also treat depression, anxiety, low self-esteem, victims of domestic violence and sexual abuse. I am available to work with clients age 13 and up. My office hours are Thursdays from 4:00-8:00 and some Saturdays. Greetings! 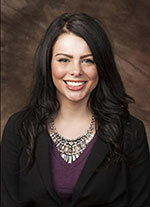 My name is Lauren Mollica and I am a licensed associate marriage and family therapist. I graduated from Northern Illinois University with a Master’s degree in Marriage and Family Therapy. My practice includes working with adolescents, adults, and families. I especially enjoy and connect particularly easily with my teenaged clients. I treat clients with emotional struggles such as depression, worry/anxiety, and anger, as well as relationship issues (including family relationships). I am passionate about working with victims of trauma, such as domestic violence and sexual assault survivors. Because of this, I have extensive training in Eye Movement Desensitization and Reprocessing (EMDR) to help my clients relieve trauma-related symptoms and learn new mindfulness-based coping skills. When clients come to therapy, I do my best to help them feel comfortable with me - to create a foundation of trust and safety where they will not feel judged. Additionally, I like to teach my clients whatever information and skills they need to be most successful. I am available to see clients on Mondays, Tuesday afternoons/evenings, Wednesdays, Thursday evenings, and Fridays. 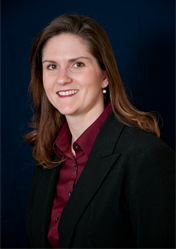 Megan Quarles Baker is a licensed clinical social worker with nearly 5 years of experience. She obtained a bachelor's in psychology from Northern Illinois University with full University honors, and a Master's in Social Work with an emphasis in mental health from the University of Illinois at Urbana/Champaign. 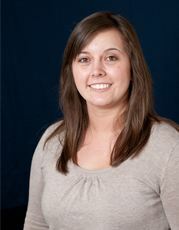 Megan has a passion for helping survivors of trauma, most specifically childhood sexual abuse/assault. 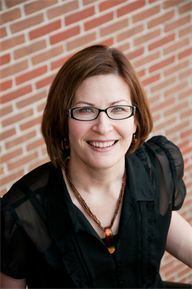 She is specially trained in Trauma-Focused Cognitive Behavioral Therapy and is in the process of certification. In addition to treating trauma, Megan works with children, teens and young adults experiencing depression, anxiety and difficulty with life changes. 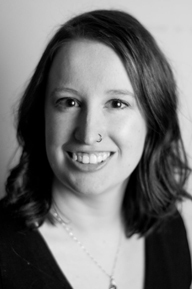 In addition to therapeutic work, Megan acts as an advocate for children who are involved in abuse allegations, and conducts forensic interviews about abuse/neglect/violent crime allegations with child victims. In her free time Megan enjoys playing with her dog Gotham and watching a bit too much Netflix.